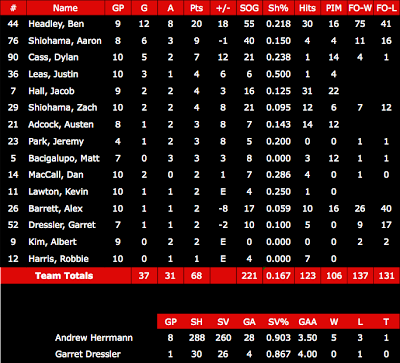 The 2012-3 squad found success behind All Star goalie Andrew Herrmann who kept the team in every game. 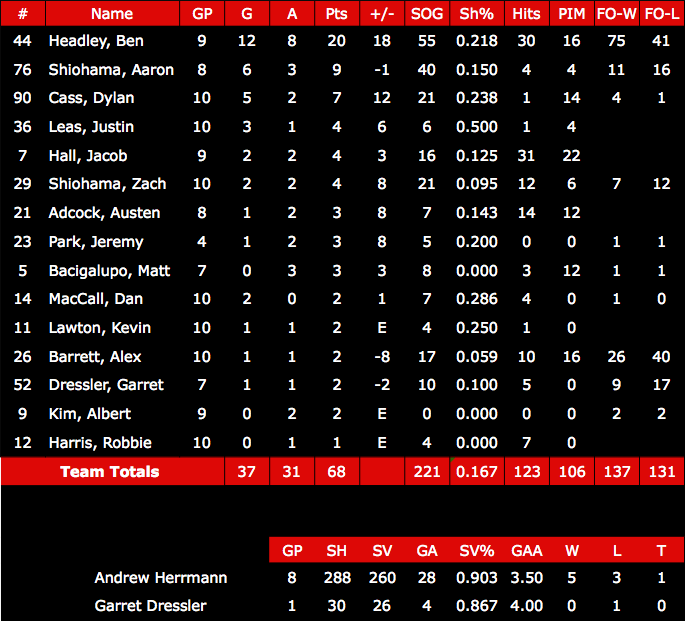 Every player notched at least a point while the scoring load was carried by junior Ben Headley (also selected to the All Star team), senior Aaron Shiohama and sophomore Dylan Cass. The team posted it’s first winning record since the 2008-9 squad and qualified for the playoffs where they ran into a determined Freedom squad who they tied earlier in the year. Senior Justin Leas was the team captain, assisted by fellow senior Aaron Shiohama and junior Ben Headley.